Although puffy eyes are often an issue, they need not be the bane of our lives. Should you find that nothing you do helps to diminish the problem, this article might just help you. However, eating sugar causes inflammation all over the body; the skin is thin and prone to swelling so you may notice this under your eyes. Well for those that just can’t give up sugar, we have sifted through hundreds of eye creams and serums out there and found a few awesome products to keep you looking your best. 1. Kiehl’s new Super Multi-Corrective Eye-Opening Serum, Kiehls, £36. One of the best products on the market is Kiehl’s new lightweight serum. This product is highly successful in giving the eye a lifted appearance, as well as improving the skin’s firmness and tone. This amazing eye cream promotes the skin’s own process of repair and rejuvenation, thus prohibiting any further damage to the skin. Puffiness is quickly disguised and the eye area becomes bright and radiant. One of the most superior brands on the market for premium skincare is Clarins, and they just keep on proving their worth with their restorative eye concentrate. Although this comes in a tiny bottle, it is a concentrated formula; therefore you only need a tiny amount. Not only does it reduce puffiness, but it also targets fine lines and wrinkles, whilst working as a preventive cream. L’Oreal’s eye cream comes with a special metal applicator, designed to decrease the appearance of puffiness. Additionally, it contains hyaluronic acid and caffeine, which promotes firmness whilst improving blood circulation to reduce dark circles. On this note, L’Oreal Revitalift has got to be a winner. 5. 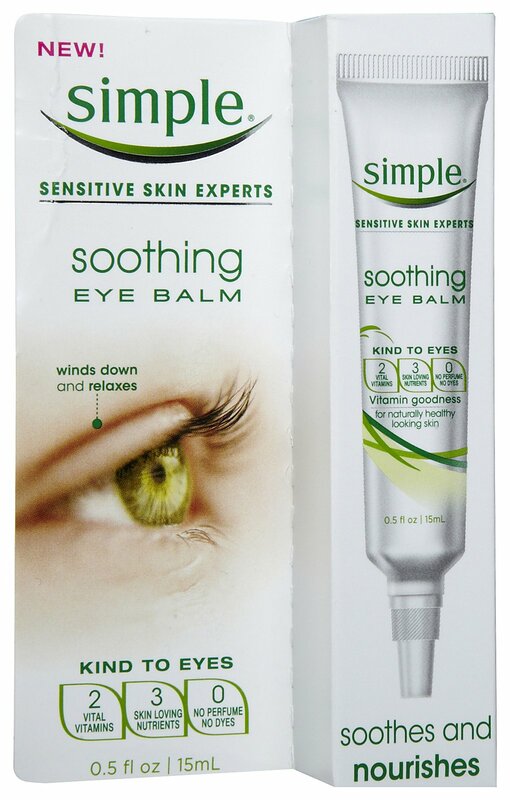 Simple Soothing Eye Balm, £4.40. Included in this fabulous formula are vitamin B5, Vitamin E, Jojoba oil, Shea butter, and bisabolol oil. These compounds diminish puffiness and lessen the look of tired eyes, and couldn’t be better at £4.40 per tube– awesome! Source: Simple, L’Oreal, Clarins, Philosophy, Kiehl.